It’s Time to Fight for Full Employment! The “Great Recession” that began in 2007 has caused the greatest percent of job losses since the Great Depression of 1929. This crisis is the end of an era of unrestrained ‘neo-liberal’ capitalism that became public policy during the Reagan administration. The crisis marks a new level of instability with the growth of a global financial elite that targeted US workers and our trade unions after World War II. The election of President Obama reflected the growing struggle of America’s progressive majority to reverse the neo-liberal policy of war and austerity that has undermined the social advances established by the New Deal and the United Nations. It also begins a long period of readjustment for capitalism as it responds to multiple crises, struggles to maintain its system of social control, and seeks a new system of profit accumulation. During the seven decades since World War II, US workers have faced ten periods during which the economy lost jobs for over twelve months. Each successive recession in employment lasted longer than the previous downturn. 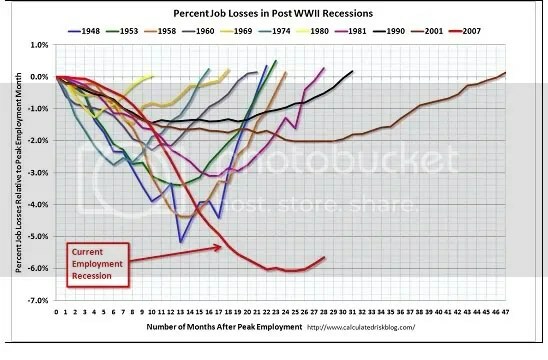 In the above chart, each line represents an employment crisis since World War II. The vertical axis shows the percent of jobs lost each month and the horizontal axis shows the duration of the crisis in months since the last peak in employment. The right end of each line is the point at which employment returned to its former high. In the crisis of 1990 the economy lost jobs for two and one half years. Then in the 2001 recession, it was four years before job losses ended. Although these last two downturns were prolonged, and the recoveries were weak, job losses at around 2% were not enough to cause widespread protest. The 2007 recession started just two years after the end of the four year downturn of 2001. After 28 months the number of jobs lost remains at over 5%. Unlike previous instances of sharp declines followed by quick rebounds, this recession has seen five months of job losses over 6% with little recovery. The recent growth in manufacturing and construction resulting partly from the ARRA stimulus has resulted in new hiring that has slightly slowed the rate of job losses. These job losses correspond to a current official unemployment rate of nearly 10 percent. Add the underemployed, and the rate goes to 17 percent. One out of five males of working age is jobless. Some 35 percent of African American youth are jobless. Many younger workers now in their thirties have never seen regular employment in living wage jobs. In sum, 25 million workers out of a work force of 153 million are unemployed or underemployed. The social infrastructure built over the decades since the Great Depression has also suffered. Neo-liberal policies focus on defunding the social network that allows families, communities, and states to survive. The long term decline in wages has been matched by a long term decline in access to quality healthcare, education, pensions, and social services that maintained a minimal equality among different income levels. We all naturally look to our own resources to improve the chances of finding or keeping a job. But as we see more people out of work, it becomes apparent that we must look to our social networks for help. Beyond that, we must explore our collective power through political action to change the economic climate from war and austerity to peace and prosperity. The trend of employment crises will continue. The bankers’ control of the levers of power accumulated under Clinton and the Bushes guaranteed their access to the public purse to cover their losses. Their hijacking of the public treasury is the root cause of current and future crises. Only a fundamental restructuring of the system that thrives on crises will end them. The struggle for full employment and for democratization of our economic system must find expression in the political aspirations of the progressive majority that won the 2008 election. The progressive majority can achieve democratic economic and social planning based on human rights that supplants greed and market chaos. Our top priority must be passage of legislation that makes full employment the primary goal of economic policy. The US Government, as the employer of last resort, must provide an employment “public option” for all who are able and willing to work but cannot find a job in the private economy. II. First, Stop the Bleeding! Each job that is lost imperils the next job due to the loss of workers’ purchasing power and the loss of tax revenues to local governments. The social and economic costs of the job losses snowball regardless of the underlying cause. The US Government can borrow or create money to reverse the loss of jobs, and must take immediate action. The demands for action and the response of our Government deserve an evaluation. The AFL-CIO is calling on Congress and the Obama administration to take five steps now to care for the jobless and put America back to work. 1. Extend the lifeline for jobless workers. Unless Congress acts now, supplemental unemployment benefits, additional food assistance and expansion of COBRA health care benefits will expire at the end of the year. They must be extended for another 12 months to prevent working families from bankruptcy, home foreclosure and loss of health care. Extending benefits also will boost personal spending and create jobs throughout the economy. 2. Rebuild America’s schools, roads and energy systems. America still has at least $2.2 trillion in unmet infrastructure needs. We should put people to work to fix our nation’s broken-down school buildings and invest in transportation, green technology, energy efficiency and more. 3. Increase aid to state and local governments to maintain vital services. State and local governments and school districts have a $178 billion budget shortfall this year alone—while the recession creates greater need for their services. States and communities must get help to maintain critical frontline services, prevent massive job cuts and avoid deep damage to education just when our children need it most. 4. Put people to work doing work that needs to be done. If the private sector can’t or won’t provide the needed jobs, the government should step up to the plate, putting people who need jobs together with work that needs to be done. These should never be replacements for existing public jobs. They must pay competitive wages and should target distressed communities. 5. Put TARP funds to work for Main Street. The bank bailout helped Wall Street, not Main Street. We should put some of the billions of dollars in leftover Troubled Asset Relief Program funds to work creating jobs by enabling community banks to lend money to small- and medium-size businesses. If small businesses can get credit, they will create jobs. In November 2009, a coalition of national organizations including the Economic Policy Institute, the AFL-CIO, the Center for Community Change, the Leadership Conference on Civil Rights, the NAACP, and the National Council of La Raza issued “An Urgent Call for Action to Stem the U.S. Jobs Crisis.” The call reiterated the AFL-CIO plan and reflected the widespread unity of sectors of labor, minority communities, social change, and academic leaders on the need for urgent action. …creating good jobs that offer affordable health care and retirement security is the Obama administration’s top priority. The first steps must be to pass long-term extensions of emergency unemployment compensation, full federal funding of extended benefits and the COBRA subsidy so the nation can keep in place the much-needed safety net that the Recovery Act established. · Fiscal relief for state and local governments, which are facing a $178 billion budget shortfall this year alone. · More large-scale infrastructure projects. This is the most direct way to bring jobs to people. · Aid to small businesses—an important engine of economic growth—through tax cuts and a Small Business Lending Fund, using $30 billion from the Troubled Asset Relief Program (TARP). Centrist political pundits, House Republicans, Blue Dog Democrats and — on Monday’s front page — the New York Times, have all raised alarms about the growing deficit. [Cong. Steny] Hoyer told the Huffington Post that he is actively working with Senate Majority Leader Harry Reid (D-Nev.) to institute “statutory pay-as-you-go” (PAYGO) — a law that would require all congressional spending to be offset by revenue increases or spending cuts elsewhere. That statute would contain emergency exemptions that allow for present spending on jobs to increase, said Hoyer. At the May 2010 G20 Summit finance ministers abandoned support for fiscal stimulus to end the economic crisis and instead declared their support for “measures to deliver fiscal sustainability.” Global financiers are demanding that the cost of their crisis be born by the working families of the world. The New York Times, upholding a widespread media taboo, has deliberately omitted discussion of the $trillions of “off budget” costs of the occupations of Iraq and Afghanistan, and other global projections of US military force in its reporting on the US deficit issue. Ending the wars in Iraq and Afghanistan, slashing pay to overpriced contractors and eliminating unnecessary weapons systems could perhaps save 2% to 3% of GDP each year. These are areas where the US is squandering its income and blood, yet the President’s proposed budget for fiscal year 2011 would actually increase military spending to more than $750 billion, from around $720 billion this year. Military spending dwarfs almost everything else. In the White House’s proposed budget, military spending would be nearly six times the federal outlay for education and 26 times the outlays for development assistance and humanitarian aid – despite the fact that the Administration often promotes development as a central pillar of our national security strategy. Nobel Prize Columbia University economist Joseph Stiglitz debunked the “deficit fetish” in a February 2010 Politico column, excerpted here. The deficit hawks from the banking system went on vacation from the fall of 2008 through the spring of 2009, while they demanded money be doled out freely – to themselves. But now that the public clearly won’t stand for another free lunch at its expense, the deficit hawks are back at work, more vocal than ever about the need to cut government spending. They say it was necessary to the health of the economy to dole out money to the banks; but not necessary to the health of our society to make sure everyone has access to health care. It was…acceptable to break the social contract between America’s elderly and the rest of society, by cutting back on Social Security. The bankers’ political offensive against the working class was openly displayed in early March 2010 by Republican Senator Jim Bunning’s filibuster against extension of unemployment and healthcare benefits for the long term unemployed as a “protest” against deficit spending. In another concession to the bankers’ demands to intensify the austerity regime, President Obama announced an executive Deficit Reduction Panel. The Senate had rejected a proposal for a legislative panel that would have the authority to force through legislation cutting Medicare and Social Security with only an up or down vote. The American Recovery and Reinvestment Act of 2009 allocated 37% of the total $787 billion stimulus to tax cuts. This was the price for their votes demanded by then Republican Sen. Arlen Specter and Blue Dog Democratic Senators to halt the precipitous losses of jobs and housing. The tax cuts do not stimulate spending or hiring in an economic downturn. They are simply the tribute extracted by the bankers who control the Senate majority. The Bush cash rebate of 2008 was a similar ‘stimulus’ that mostly went to pay off consumer debt and resulted in no job creation nor slowing of the crisis, but served to transfer more wealth from taxpayers to the banks. The bankers see the jobs crisis as an exploitable opportunity. The mass political pressure to do something to rescue the victims of the bank-engineered financial crisis provides the opening. Tax cuts were a major part of the March 2010 so-called jobs bill passed by the Senate. The $33 billion tax cuts to small businesses will go to pay off debt or current wages. The bill contains no jobs creation measures, but extends subsistence support for the unemployed and Medicaid. This $33 billion ‘tax boost’ for small business is only 2% of the $1.5 trillion reduction in small business borrowing over the last year due to the embargo on lending by the banks. This jobs bill “is really not a jobs bill,” said Cong. Barbara Lee. It is only one tenth of the amount needed for each of the next three years to cut the jobless rate to 4% by the end of Obama’s first term. The public acknowledgement of the unemployment crisis and the promises of forceful measures by the President, followed by extended legislative battles that produced ineffective measures by Congress, frame the growing anger in the face of widespread suffering. The AFL-CIO and other organizations, such as Jobs with Justice and Jobs for America NOW are organizing lobbying campaigns, marches and rallies across the nation to demand jobs. Jobs for America Now, is a broad coalition of 60 national organizations. Its members have endorsed a five-point program that would extend unemployment benefits; provide fiscal relief to state and local governments; create jobs in distressed communities that face severe unemployment; invest in infrastructure such as schools, transportation and energy efficiency; and spur private-sector job growth by providing incentives and credit to small and medium-sized businesses. 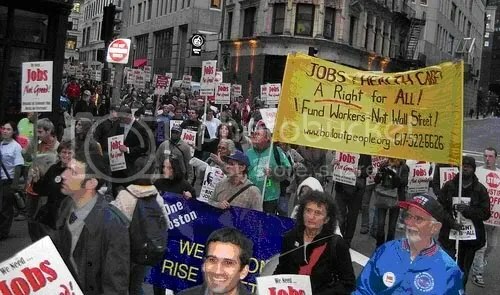 Jobs with Justice is an older organization with a broader agenda that includes organizing for equal pay, supporting workers unfairly disciplined for union organizing, advocating for health care and immigrant rights, as well as organizing the unemployed. Jobs with Justice is trade union supported and brings mainly young people into the labor movement. It works to build labor-community alliances. Funded by the national treasury to be sure – but created and run by our Southern Movement – we must demand massive infusions of federal funds to create millions of new jobs to reconstruct environmentally sound communities, schools, health care facilities, and new forms of justice across the South. The right to work is a fundamental human right because many of the other social and economic human rights proclaimed by the United Nations cannot be enjoyed without a paying job. The above chart shows that while short-term unemployment is decreasing as a result of the stimulus, long-term unemployment is still on the rise. An examination of the effects of long-term unemployment is essential to understanding not only where we may be headed as a nation but the present day reality of people of color in the US. This understanding frames our view of what’s at stake in the struggle for full employment. The March 2010 issue of The Atlantic carried an extended discussion of the severe social effects of long-term unemployment in the article “How a New Jobless Era Will Transform America” by Don Peck. Even if the economy were to immediately begin producing 600,000 jobs a month…it would take roughly two years to dig ourselves out of the hole we’re in…But the U.S. hasn’t seen that pace of sustained employment growth in more than 30 years. A slowly sinking generation, a remorseless assault on the identity of many men; the dissolution of families and the collapse of neighborhoods; a thinning veneer of national amity—the social legacies of the Great Recession are still being written, but their breadth and depth are immense. As problems, they are enormously complex, and their solutions will be equally so. We are in a very deep hole, and we’ve been in it for a relatively long time already…We are living through a slow-motion social catastrophe, one that could stain our culture and weaken our nation for many, many years to come. We have a civic—and indeed a moral—responsibility to do everything in our power to stop it now, before it gets even worse. The long-term character of poverty and unemployment that is disproportionately high among African-American workers is a legacy of the crime of slavery. Black people labored in the United States for 200 years without compensation, without the right to own property, without the right to establish families, and without the right to education. The militaristic institutions formed in the South to protect slavery survived to overthrow Reconstruction. From the reign of lynch terror, the defense of the anti-democratic Jim Crow system, resistance to the Supreme Court desegregation decisions, to undermining the War on Poverty, they continue to use the rhetoric of state’s rights to mobilize racist opposition to unemployment compensation, Medicaid, and healthcare reform. Researchers at the Insight Center for Community Economic Development based in Oakland, Calif., analyzed data from the 2007 Survey of Consumer Finances, a voluminous report the Federal Reserve Board issues every three years that examines household finances in this country. Among the most startling revelations in the wealth data is that while single white women in the prime of their working years (ages 36 to 49) have a median wealth of $42,600…the median wealth for single black women is only $5. A successful strategy for winning full employment must address the current lack of a comprehensive US industrial policy that supports domestic wealth-creating jobs. Growth and consumption based on international borrowing and dollar supremacy is not sustainable. The US must rebuild a substantial manufacturing sector to sustain itself as a major center of global economic stability. The neo-liberal “free trade” policy that is simply the unregulated flow of capital must be replaced with democratic control of capital that invests in industry to promote full employment. Political economists in academia and in labor-associated think tanks have responded to the new jobs crisis with various proposals. Building on the immediate demands by labor and jobs advocacy groups, and going beyond the legislative proposals of the White House and the Democratic Party, these proposals attempt to address the problem with a new industrial policy. 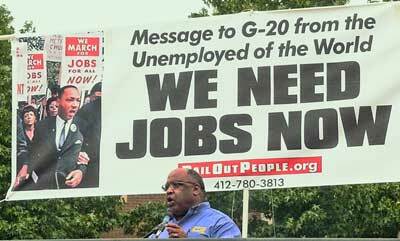 In his keynote speech to the January 2010 Pennsylvania Progressive Summit, USW President Leo Gerard focused on the loss of wealth-creating manufacturing jobs. We create real wealth when we take raw material, ingenuity, creativity, engineering, and people’s work and we put it together, and we make something. We add value to it. Then we take those things that we’ve made and we put them together with something else that adds value…and first thing you know, you have…a car that can get 35 miles per gallon. Those manufacturing jobs going from 25% to 10% of [US] GDP didn’t happen by accident. Since the passage of NAFTA America has accumulated a $6.5 trillion trade debt to the rest of the world. Last year America had a $600 billion trade deficit of which $250 billion was with China. The 2009 Alliance for American Manufacturing book Manufacturing a Better Future for America describes the dramatic loss of manufacturing jobs in the United States that are the wealth-creating engine of economic growth. The furniture industry lost at least 60 percent of its production capacity in the U.S. from 2000 to 2008 with the closure of 270 major factories during that period. U.S. printed circuit board manufacturers accounted for less than 8 percent of global production in 2007, down from 26 percent in 2000, yet printed circuit boards are used in tens of thousands of different products. There was only one American company among the top 10 worldwide in photovoltaic cell production in 2007. There is only one U.S. wind energy company ranked among the top 10 largest in the world. The U.S. machine tool industry – the backbone of an industrial economy – produced $3.6 billion in equipment in 2007, less than 5% of global output. Since 1998 U.S. machine tool consumption has fallen by 30 percent. U.S. luggage producers account for 1% of the American market. U.S. production of high-performance outerwear…accounts for less than 2% of all the outerwear sold to Americans. Only one American manufacturer of ceramic tile remains…Of the 80 major chemical plants either on the drawing boards or under construction, none are in the U.S. In 2007, only 2% of all new semiconductor fabrication plants under construction in the world were located in the U.S. None of the 1.2 billion cell phones sold in the world in 2008 were manufactured in the U.S. Approximately 40,000 U.S. manufacturing plants have closed in the seven years ending in 2008. Various interest groups are offering one-sided or narrow solutions. An example of a narrow approach is a discussion on jobs by an MIT roundtable titled “The Future of Manufacturing – Advanced Technologies” covered in the March 2010 MIT News. Technical innovation alone will not sustain the US manufacturing industry because of the rapid globalisation of new technology. Technical innovation without an industrial policy serves to create a new level of higher productivity that will cause more unemployment. Professor Joan Fitzgerald of Northeastern University explains how countries such as Germany are able to compete against low wage countries such as China in “Losing Our Future.” She also contrasts Germany and China’s industrial policies that support green energy jobs to the lack of such U.S. protection. Germany’s soft mercantilist approach favors German firms. Both national policy and the preferences of German companies to use domestic suppliers have led to the development of strong supply chains. While Germany has turned to Chinese and other foreign suppliers of some components, both the government and the industry seek to keep high-end manufacturing in Germany. These policies have put Germany among the world’s leading exporters of wind and solar technology. Comparative advantage was created by public policy. In addition to rules enacted in 2006 requiring utilities to purchase more wind and solar energy, China raised tariffs on imported wind turbines and dramatically reduced import duties on components, many of which are in short supply. To develop its own supply chains, China has gradually increased domestic content requirements for wind-farm developments — from 40 percent in 1996 to 70 percent since 2004. …the U.S. needs to pass an energy bill with a strong portfolio standard to create a larger U.S. market for renewable energy. Then we need to combine our energy policy with a coherent industrial policy whereby industries that aim to become global winners thanks to government subsidies do not just produce offshore for global markets but provide good jobs in the U.S.
Further, we need to require more local sourcing of components of foreign wind and solar companies in the U.S. and help our manufacturers retool to fill this demand. And we need to insist that foreign competitors like China play by fair rules of trade. It is committing industrial suicide if we leave our remaining great corporations and our start-ups to negotiate one-sided trade and production deals with nations whose policies are far more strategic than our own. With a deep and long global downturn now more likely, any plan for reviving the economy should be substantial, strategic, and sustained. Restoring economic growth will require a strong and multifaceted plan. Reviving the financial system itself will require far more than the hastily assembled and badly designed $700 billion bailout passed in September. We must 1) remedy the costly defects in the current plans; 2) put it place a systematic program of real mortgage relief for homeowners, and 3) enact comprehensive reform of financial markets. Beyond these immediate steps the union-endorsed plan called for $450 billion a year to be invested in green infrastructure projects, infrastructure modernization, aid to states, public education, and research and development. It also called for increasing access and lowering the costs of health care, extending unemployment compensation, and increasing food stamps and other aid to the poor. In February 2009 the Chicago Political Economy Group (CPEG) issued “A Permanent Jobs Program for the U.S.: Economic Restructuring to Meet Human Needs.” It posits that the economic train wreck of neo-liberalism provides the political basis for a new economic reconstruction in the US based on a jobs program. The Program …addresses the underlying structural problems of the real economy. We …believe that a significant and sustained effort to expand long term employment is an essential part of any solution to our larger economic difficulties. In addition to the current stimulus plans, we propose the creation of 3.5 million new high quality jobs each year for five years. (3) Industries of the future, particularly the areas of energy, agriculture, and other broadly defined “green” technologies. Whether in the updating of decaying infrastructure, providing needed additional social services in health, education, and human services, or developing forward-looking industries in areas such as green technology, the gap between what the economy does produce and what it could produce and use is significant. We believe the best approach to addressing that gap is a job creation plan. Energy, its sources, uses, and costs should be at the core of our forward-looking industrial policy. It is clear that, left to their own devices, the major private sector energy companies have little incentive to shift our energy consumption in a direction that is either more efficient or less costly to the consumer. 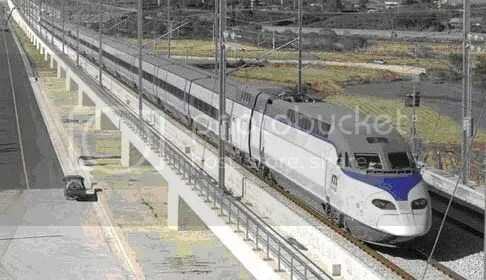 High-speed rail reduces emissions by 80%. In December 2009 “Public Investment, Industrial Policy and U.S. Economic Renewal” by Robert Pollin and Dean Baker was jointly released by the Center for Economic and Policy Research and the Political Economy Research Institute. This document further developed the political and economic analysis proffered by the Chicago group. “Public Investment” gives a detailed economic and historic analysis debunking the right wing’s contention that public investment inhibits rather than encourages private investment. It also shows that manufacturing corporations’ own speculation on Wall Street dramatically exceeded their investment in plant and equipment. This pattern supports our central point: considering the U.S. economy for roughly the past 30 years, there has been, in general, no shortage of funds available to corporations. The corporations have not experienced financial crowding out. Rather, credit has been abundantly available, as long as the funds were channeled into Wall Street speculation and related forms of financial asset purchases rather than into productive investments. “Public Investment” defines industrial policy as a key element within a “developmental state.” It examines past and present industrial policy practiced in the US, focusing on the success of the Pentagon in financing and sustaining the development of revolutionary technologies. The paper concludes with a detailed jobs proposal related to modernization and rationalization of the transportation system and development of a green energy system. Focusing on the 20th century, various forms of subsidies and preferential tax treatments were provided for agricultural producers, railroads, air carriers, as well as the automobile and housing industries. The Reconstruction Finance Corporation (RFC) was formed in 1932 by the Hoover Administration, as a means of providing subsidized credit for distressed businesses. The enormous success of Pentagon-based industrial policy in the U.S. raises the basic question: can the only way U.S. policymakers manage industrial policies successfully is for the Pentagon to be in charge? As we have emphasized, the key factor of Pentagon-centered industrial policy is the combination, on a massive scale and over a sustained time period, of R&D investment spending plus the maintaining of a guaranteed market through procurements. Here then, is the overarching challenge in trying to design industrial policies to advance clean energy, a reconfigured transportation system, and a renewed manufacturing sector. As a technical matter, we do already have the policy apparatus to successfully implement such policies. But we lack the experience and political will to advance this agenda outside of the Pentagon. The depth of the climate crisis demands an end to the exceptional waste of natural and human resources under capitalism. The crisis demands that billions be invested and tens of thousands employed replacing carbon-based fuels with energy drawn from the sun, wind, and geothermal sources. The country needs new energy grids, non-polluting mass transportation, and homes retrofitted to curb carbon emissions. Leo Gerard, President of the USW, the largest US industrial union, is calling for a new ‘green industrial revolution’ to reconstruct the U.S. manufacturing sector. This USW policy is a major effort in its program to rebuild the union’s base and the US industrial working class. The USW and the Sierra Club have formed the “Blue-Green Alliance” of several hundred environmental, community, and trade union organizations. In Tough Battle Ahead on Green Jobs and Climate Crisis on, Carl Davidson described the May 2010 third gathering of the Blue-Green Alliance in Washington, D.C. Thirty five hundred labor and environmental activists heard speakers from the Obama administration and the trade unions address the issue of climate change and jobs. “Never before has the need been so urgent to produce clean energy, to use energy more efficiently, to prevent climate change and to protect our natural environment. A green jobs industrial policy must be based on restructuring the carbon energy base that drives the economy so that economic incentives reward energy-saving innovations. Central to this agenda is a tax on the carbon content of coal, oil, and gas that will rise in a planned escalation over a number of years. This will produce a growing revenue stream that can be used to fund capital investment and to raise personal income, stimulating new job-creating consumption of low-carbon products. “The BlueGreen Alliance strongly believes that properly crafted comprehensive climate change legislation will achieve the critical goals of creating good jobs, reducing carbon emissions and increasing our nation’s energy independence. …the ‘Good Jobs, Green Jobs’ conference and the Blue-Green Alliance behind it, is part of a new historic bloc against the GOP, Blue Dog Democrats, and the far right. Its core is a three-way alliance of trade unions, environmentalists, and advocates for inner city youth and the unemployed. It reaches up to include top officials of the Obama administration, Members of Congress, leaders of ‘high road’ green industries, and state and city government. At the May 6, 2010 Steelworkers Rapid Response conference, USW members mobilized to lobby Congress to pass the “SEAM” Act, HR 5041. This act would provide $5 billion in credits to build and install solar or wind energy facilities using domestic steel and other materials, a first step in a green jobs industrial policy. If aggregate demand declines, which it will if average wages decline, which they will if the search for low wages dominates the movement of capital, then production – and hence employment – will also decline. That is to say, if the search for lower wages comes to dominate the movement of capital, the result will be not only a lowering of worldwide wage disparities but also a lowering of total global income. 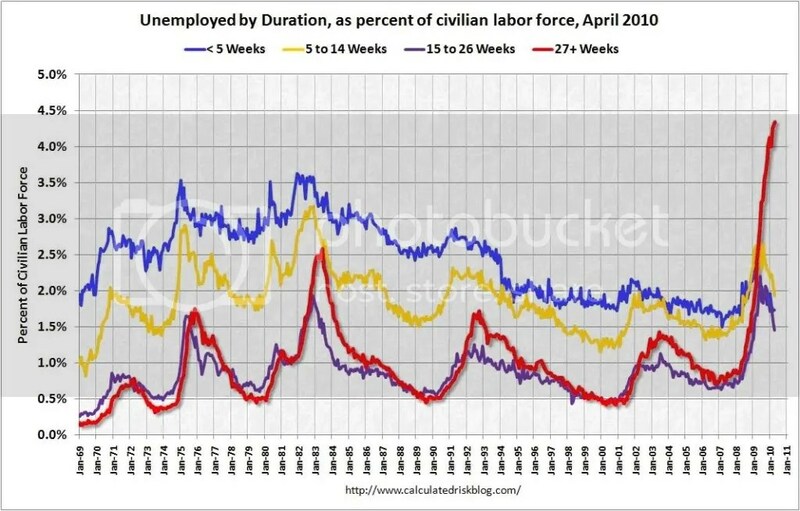 Unemployment is not an aberration of capitalism, indicating that it is somehow not working as it should. Unemployment is a necessary structural feature…Unemployment is the invisible hand – carrying a stick – that keeps the workforce in line. To the extent that efforts to create jobs rely on stimulating private enterprise, the goal of full employment is unattainable. Today’s neo-liberal deficit hawks believe that full employment prevents monetary stability, and undermines bank profits. They are determined to sacrifice the stability of society for profit stability for the wealthy. Because of this, the green industrial policy proposals must be supplemented by an employer of last resort (ELR) program, so that no one is left jobless. Our conception of employment must expand the personal, social, and economic frameworks to include the human rights framework. The right to work is a human right. The people, acting through the government as a last resort, can provide full employment to all willing to work. The US government should adopt a policy of full employment as a social and economic necessity. This principle should be the foundation of new full employment legislation that creates an ELR program. An ELR program serves as the “public option” for those who cannot find private employment. It does not substitute for stimulus programs that incentivize private hiring. Because ELR programs put all the jobless to work, tax revenues and aggregate demand are increased. Social programs for the unemployed and poor are greatly reduced or eliminated. These factors make the cost of a model program approximately one half of 1% of US GDP. In The Employer of Last Resort Programme a paper for the U.N. International Labor Organization (ILO), L. Randall Wray discusses the social and economic benefits of Government as employer of last resort. He draws on the experience of Argentina and other successful employer of last resort (ELR) programs. One straightforward way of ensuring that any person who is able and willing to work can [work] is through an “Employer of Last Resort Programme” (ELR). An ELR is a direct job creation programme that provides employment at a basic wage for those who cannot otherwise find work. It is not meant to be an emergency programme or a substitute for private employment, but rather a permanent complement to private sector employment. …an ELR programme is more effective and preferable than “Keynesian pump-priming”, which tries to stimulate full employment by raising aggregate demand through investment incentives, tax cuts, and government spending. With ELR unemployed workers are employed and their spending has multiplier effects on the economy which boost aggregate demand and facilitate their incorporation into the private sector labour market. Because ELR ensures that deficit spending is at the correct level to achieve full employment, there is no risk of inflation. Moreover, because it is an anti-cyclical policy, macroeconomic stability is improved. …only government can guarantee the right to a job because no capitalist society has ever operated at anything approaching true, full, employment on a consistent basis without direct job creation on a large scale by government. Further, the burden of joblessness is borne unequally, always concentrated among groups that already face other disadvantages…Finally, only the government can offer an infinitely elastic demand for labour (offering to hire all who cannot otherwise find employment) because it does not need to heed narrow market efficiency concerns…Government can take a broader view to include promotion of the public interest, including the right to work. For these reasons, government should and must play a role in providing jobs to achieve social justice. A universal ELR program—which takes anyone who is ready and willing to work—is the only type of program that can ensure that the human right to employment is continuously met. If the ELR program wage is a “living wage”, it also helps to ensure that other human rights are met—by providing sufficient income—at least for those who are ready and willing to work. A properly designed ELR program will not only produce socially useful goods and services, but it will also promote feelings of self-worth and accomplishment among program participants. Wray’s paper continues with a study of the economic, monetary, and fiscal implications of ELR and a detailed analysis of the ELR program in Argentina. The enormous growth of finance capital and the globalization of production are the interdependent dynamic that threatens the survival of civil society and democracy in all countries. Financialization has radically diminished the historic role of industrial capital and industrial unions as a determinant of national industrial policy. This is especially true in the US where industrial unions are weak compared to those in the Eurozone and in the socialist market economies. 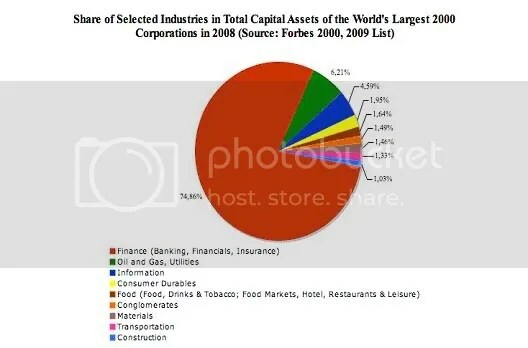 The above chart shows that finance capital represents almost 75% of the capital assets of the world’s 2000 largest corporations as of 2008. Its assets are so large that it has the power to influence all other economic sectors. Since the beginning of the 1980s, finance capital has increased its influence, importance, and concentration …The emergence of liberalized global financial markets has enabled these developments. Fuchs explains that the liberalization of global finance increased short-term profits. At the same time it resulted in instability of most financial instruments, precipitating the current crisis. Excellent examples are sub-prime lending and mortgage-backed securities, high-risk financial mechanisms that have been at the heart of the financial crisis that originated in the financialization of the US housing market and hit the world economy in 2008. With the weakening of the industrial structure, financialization has become capitalism’s cash cow. Reduced corporate taxes increased the after-tax rate of profit, financed by additional public debt. Investments in production of goods and services were increasingly shifted to shady financial instruments with money being created solely from debt, with no new value created from real production. The surplus value appropriated by capital no longer found outlet in material production and spilled into financial schemes and speculative bubbles, spreading pain and upheaval throughout the global economic system. The banks intensified the crisis by withdrawing support from key productive sectors of the US economy, forcing them to radically downsize, suddenly terminating thousands of workers. The subservient media and Congress pilloried US auto manufacturing, while contracts with autoworkers and retirees were abandoned. US workers, homeowners, and taxpayers suffered the losses collectively and individually. The growth of the financial sector at the expense of productive industry is the single most important force behind the growth of income and wealth inequality over the past three decades. It has fueled growing unemployment, helped atomize the working class in the developed countries, marginalized trade unions, and consolidated power in the hands of the most reactionary political sectors. Finance capital has the power to crash the economy, extort the wealth of the nation, and mobilize Congress to oppose the demands of the people for relief. It has the power to wage war across the globe and manufacture media consent. Full employment and social stability require the taxation, regulation, control, and eventual social ownership of finance. 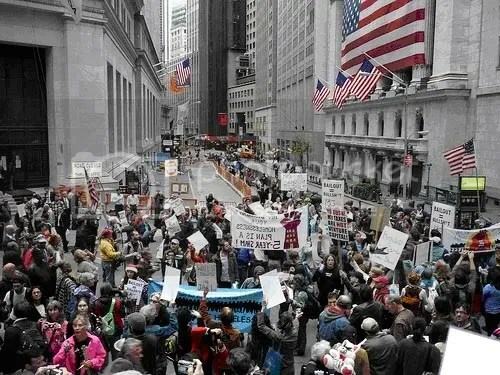 This month, the A.F.L.-C.I.O., the nation’s main labor federation, has organized 200 protests nationwide to publicly shame bankers, calling for new taxes on bankers’ bonuses and on speculative short-term financial transactions — in the hope of collecting tens of billions of dollars to finance a job creation program. A key demand of the current AFL-CIO agitation is a financial transaction tax (FTT), originally called the ‘Tobin Tax’ after its author, and now popularly known as the ‘Robin Hood Tax.’ The FTT is a progressive way to fund a full employment program and is a powerful tool to combat the cancerous growth of finance capital. An FTT of one quarter of one percent on all financial transactions in the U.S. would generate an income of $600 billion per year according to estimates of the Chicago Political Economy Group. These revenues would be sufficient for the government to transition to a green industrial economy and guarantee a job to all who are willing to work. The FTT is currently a subject of debate in several European countries. It must be imposed by agreement of the countries with major financial centers to prevent the banks from moving their trading operations offshore to avoid the tax. The National Union of General and Public Employees, one of Canada’s largest unions is urging passage of the financial transactions tax by Parliament. Clancy says action to support a global tax on financial transactions is needed now, partly because the G8 and G20 meetings offer a serious opportunity to advance the issue and partly because the tax is badly needed to encourage economic recovery and to prevent another global financial meltdown from occurring. “Considered from this perspective, we believe that a financial transactions tax (FTT) is an economic policy initiative that Canada must support,” Clancy writes. The proposed Robin Hood tax would exclude most consumer transactions but levy a small tax of one twentieth of 1% on all financial market transactions such as the trade of stocks, bonds, foreign exchange and derivatives. The most salient dynamic of the present economic crisis is the inability or unwillingness of the banks to finance productive industry or small business in the US in order to put revive the economy. The neo-liberal Republican and Blue Dog Democrats in Congress oppose any use of the public treasury to stimulate demand. Congress failed to pass legislation before the 2010 Memorial Day recess that would extend unemployment benefits, subsidize COBRA healthcare benefits, maintain Medicare compensation, and subsidize school funding. But they did pass $53 billion for global war. Finance capital stands as the political roadblock to progress both in the economy and in politics. A rational economic system with an industrial policy that supports manufacturing and full employment, health, and education of the people must have social ownership and control of finance. The ‘Robin Hood’ Tax is a key step to diminishing the power of these banks to block recovery. The experience of the Bank of North Dakota shows that social control of finance is both possible and healthy for the economy. Under state law the bank is the State of North Dakota doing business as the Bank of North Dakota. All state and local government agencies are required to place their funds in the bank. Previously, all public corporations in the state were also required to deposit their funds in the bank, but an initiated measure in 1919 eliminated that requirement. In the general sense, the Bank of North Dakota is a socialist bank. As such it has contributed to the economic and social stability of the state. It plays the role of a central bank backed by the general fund of the State of North Dakota itself and the taxpayers of the State. The bank also guarantees student loans, business development loans, and state and municipal bonds. The bank had almost $4 billion in assets and a $2.67 billion loan portfolio at the end of last year, according to its most recent quarterly financial report. It made $58.1 million in profits in 2009, setting a record for the sixth straight year. During the last decade, the bank funneled almost $300 million in profits to North Dakota’s treasury. An article recently named the bank “Banking’s Public Option.” A Mother Jones magazine article called it the envy of Wall Street. Public ownership of banks through state governments would cut the power of the Wall Street oligarchy and help secure the financing for an economic recovery with full employment. Globalization not only means every nation faces an offshore assembly line under the command of global financiers. It also means a global unemployment crisis that causes a diaspora of thousands of displaced workers seeking employment in wealthier countries. In a January 2010 press release from Geneva, Switzerland, the International Labour Organization (ILO) reported that global unemployment had reached 212 million in 2009, the highest level on record. “As the World Economic Forum gathers at Davos, it is clear that avoiding a jobless recovery is the political priority of today” said ILO Director-General Juan Somavia. “We need the same policy decisiveness that saved banks now applied to save and create jobs and livelihoods of people. This can be done through strong convergence of public policies and private investment”. With only five years remaining to achieve the Millennium Development Goals, the UN Secretary General has called a special summit meeting in New York for September 20-22, 2010 to accelerate progress. The global economic crisis also threatens to destabilize progress, as a better future for the world’s most vulnerable people could fall victim to contraction of trade, remittances, capital flows and donor support. At a time when investing in development is more vital than ever to ensure social stability, security and prosperity, donor governments are called upon to renew rather than revoke their commitment to reaching the Goals. The United States is a signatory to the UN Millennium Development Goals, in which it pledges to slash poverty, hunger, disease, maternal and child deaths, and provide jobs to all. US workers should join workers around the world in demanding implementation of the goal of full employment by the UN member states in connection with this summit. However, if an economy is wide open to imports, which contemporary capitalist economies increasingly are, then the multiplier effect is attenuated…Hence to reinflate the economy, a government must go much deeper into debt than in the past. Since the costs of this debt must be borne by the nation’s citizenry, while the good effects spread globally, governments, not surprisingly, are now reluctant to apply the Keynesian remedy; when they do, it no longer works so well. 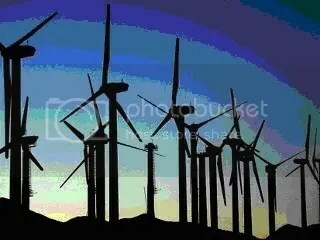 In November 2009 USW President Leo Gerard lambasted Congress and the Department of Energy for spending ARRA stimulus funds on wind power projects that used foreign manufacturers. It was reported in various internet news sources. Nearly $2 billion in money from the American Recovery and Reinvestment Act has been spent on wind power, funding the creation of enough new wind farms to power 2.4 million homes over the past year. But the study by the Investigative Reporting Workshop found that nearly 80 percent of that money has gone to foreign manufacturers of wind turbines. “Today, we are demanding the Obama administration suspend this program immediately,” said Sen. Chuck Schumer, D-N.Y. The senators are especially alarmed about a project highlighted by ABC News in West Texas that uses turbines manufactured in China. The Texas wind farm is eligible for up to $450 million in stimulus funds. The global assembly line means that US problems of employment and economic stability cannot be solved without measures that replace ‘free trade’ with fair trade policy based on cooperation. As part of its effort to build international solidarity, the USW is actively forming alliances with union organizations in other countries. It is using its resources to support industrial workers in South America who face harsh repression of their efforts to organize in the shops and mines of the global corporations. Central to building a movement for full employment is unity in combating efforts of the right wing to divide the working class with appeals to xenophobia and racism. The right seeks to blame joblessness on immigrant workers from Latin America who have been driven from their own lands by NAFTA trade policies. Opponents of immigration reform frequently argue that immigrants “take” jobs away from many native-born workers, especially during economic hard times. Yet an analysis of data from the U.S. Census Bureau clearly reveals that… recent immigrants comprise 3.1 percent of the population in counties with the highest unemployment rates (over 13.4 percent). But recent immigrants account for a higher share of the population (4.6 percent) in counties with the lowest unemployment rates (below 4.8 percent). One of the most contentious issues…is whether or not the presence of immigrants in the U.S. labor force has a major adverse impact on the employment prospects of African Americans. However, data from the U.S. Census Bureau reveal that…in the 10 states with the highest shares of recent immigrants in the labor force, the average unemployment rate for native-born blacks is about 4 percentage points less than in the 10 states with the lowest shares of recent immigrants. …unemployed natives and employed recent immigrants cannot simply be “swapped” for one another since unemployed natives and employed immigrants tend to have different levels of education, live in different parts of the country, and have experience in different occupations and different levels of work experience. The fight to defend our society and improve our living conditions will be a complex global battle. Workers must expand cooperation across borders to solve common problems that result from unfair trade policies. US workers can defend their own jobs by recruiting undocumented workers into their unions and defending their rights as workers. US trade with China has the greatest impact on US manufacturers and industrial workers and it is a focus of efforts by the USW. The USW has won two major disputes with China over subsidies that are illegal under WTO rules. As a result of the disputes, tariffs were imposed on steel pipe and rubber tires imported from China. In a victory for the domestic steel industry and its workers in the Ohio Valley, the U.S. government has levied duties of up to 16 percent on imported Chinese pipe used in the oil and natural gas industries. We should do business with China, but we will not be pushed around or talked to death while they continue to steal our markets. The United States must confront the challenges of globalization. But we cannot do so by ignoring the deleterious impact that our current international trade and economic policies are having on our nation’s productive capacities, and on the standard of living of the vast majority of our citizens. The USW has formed a political alliance with some US manufacturing corporations called the Alliance for American Manufacturing. The AAM seeks to overturn NAFTA and punish China for unfair trade. In the Fall of 2008 three hundred retired steelworkers, union activists, and community leaders attended a AAM sponsored town hall meeting in Aliquippa, PA. The attendees were welcomed by USW officials and offered a Keep It Made in America program that centered on China’s unfair trade policies. But the essential problem is the policy of global finance capital and its control of US trade policy and the World Trade Organization. The ability of the trade unions to build a progressive majority to confront finance capital over trade policy will depend on their ability to convince US workers to support fair trade and international solidarity. This will cause tension with the manufacturers in the AAM. They will not bite the hand that feeds them by opposing the neo-liberal ‘free trade’ policy of the bankers. Under the rules of the World Trade Organization (WTO), direct taxes, such as corporate income taxes, if rebated or refunded upon the export of goods, are viewed as export subsidies and prohibited. However, indirect taxes, such as sales taxes and Value Added Taxes (VAT), may be rebated or refunded upon the export of goods and such rebate is not defined as constituting a subsidy. The disparate treatment of taxes at the border detrimentally affects United States agricultural producers, manufacturers, and service providers, thus depressing employment. US exporters are subject to double taxation by paying both direct US taxes on domestic production and an indirect border tax on their exported product or service to the importing country. Foreign exporters are refunded the indirect VAT taxes which effectively subsidizes their exports. The top twelve countries exporting goods to the U.S. with a VAT as part of their taxation and trade policy constitute 70% of total U.S. imports. The National Textile Association points out that foreign export to the US encounters minimal tariffs averaging 1.3% and no VAT, while US exports face tariffs averaging 40% plus VATs averaging 15.7%. US manufacturers represented by the American Manufacturing Trade Action Coalition (AMTAC) supports HR2927, the Border Tax Equity Act, to stem the flow of manufacturing jobs offshore. Manufacturers in the United States are at a great competitive disadvantage to foreign manufacturers as a result of the disparate treatment of tax systems under the World Trade Organization (WTO) rules. With the exception of the US, nearly every developed nation in the world employs some type of border-adjusted consumption tax, also known as value added tax (VAT) on manufactured goods…VAT taxes rebated on exports and assessed on imports resulted in an estimated $474 billion “border tax” disadvantage to US producers and service providers in 2007 alone. AMTAC believes the border tax disadvantage is the greatest contributing factor to the more than $4.7 trillion in US foreign trade deficits racked up from 2001 to 2008. 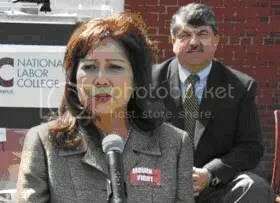 The neo-liberal Republican leadership is enforcing discipline on Congresspersons who initially endorsed the Border Tax Equity Act according to a May 2010 article carried by several financial publications. Facing withering and unfounded criticism from the right, a trio of Republican lawmakers have removed their names from a bill that is a key piece of trade legislation that would have gone a long way toward remedying the border tax inequities that hamper the U.S. due to the fact that the value-added tax (VAT) is utilized by most of America’s trading partners. The glaring contradiction between the interests of global finance capital versus US industrial workers and small businesses is most evident in US trade policy. This contradiction also illuminates the narrow financial interest that controls the Blue Dog Democrat and Republican majority in the United States Congress. Today, capitalism is a mature system that is unable to utilize the powerful creative forces it has developed to serve human progress. As technological developments increase the ability of the productive forces to meet all human needs, capitalism’s implacable quest for ever higher profits renders it unable to place these productive forces at the service of society. Fewer and fewer workers are needed to produce the necessities of life. This results in higher unemployment instead of fewer hours of work. Production is increasingly socialized while the wealth created by that production is privatized into fewer hands. That is the core contradiction of a system whose relations of production can no longer accommodate advances in its productive forces without impoverishing working people in growing numbers. Unfortunately, public policy toward globalization, outsourcing, technological change and unemployment has largely remained wedded to discredited neo-liberal economic concepts. We should advocate a new vision of capitalism that takes social and human capital every bit as seriously as it does materials and money. And we should advocate policies that encourage forms of economic development that build strong communities as well as strong companies. The Obama administration is a transitional phase overseeing conflicting forces, on one hand trying to return to the past, on the other seeking change from the past. The exhausted neo-liberal regime of capitalism is attempting to rescue itself from the disaster it has created. As capitalism tries to reinvent itself, sustainable alternatives to capitalism can take root if the seeds of structural reforms are planted now. Whether the future is a “new vision of capitalism” or a vision of “after capitalism” the struggle for full employment is the way ahead. A more secure future can be achieved by working for structural reforms that empower workers and their communities in the global economy. The movement for an eight-hour day originated among Chicago workers in 1864. It eventually became a global movement, winning legislative sanction in the U.S. with the 1938 Fair Labor Standards Act. In his book Kellogg’s Six-Hour Day, Benjamin Hunnicutt describes the innovative response to the jobs crisis of the Great Depression by W.K. Kellogg at his Battle Creek, Michigan cereal plant. While workers were losing their jobs across the nation, on December 1, 1930, Kellogg cut the workday from eight to six hours and added a fourth shift. He raised wages over the next two years by 25%. During World War II, Kellogg followed the government mandate for longer hours but promised to return to the six-hour day. By the end of the war, bankers had gained control of the Kellogg Company and opposed returning to the six-hour day. The workers, mostly women, fought to keep their six-hour shifts until 1985, and preserved the century-old vision of “progressive shortening of the hours of labor.” The book describes the economic, health, and social benefits enjoyed by those working a six-hour day. The 30-hour workweek was raised at least as early as 1922 during a national strike of coal miners. 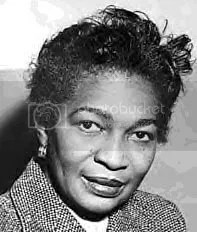 In 1932 the Black-Connery bill was introduced in the U.S. Senate. It would have required employers to pay time and a half after 30 hours; it also established a minimum wage and set limits on child labor. In 1934 both the San Francisco longshore workers’ strike and the national textile strike kept the 30-hour week demand alive. Other workers during the 1930s struck for a 35-hour week. In terms of manpower, our present defense targets will require an increase of nearly one million men and women in the armed forces within a few months, and probably not less than four million more in defense production by the end of the year. This means that an additional 8 percent of our labor force, and possibly much more, will be required by direct defense needs by the end of the year. These manpower needs will call both for increasing our labor force by reducing unemployment and drawing in women and older workers, and for lengthening hours of work in essential industries. Since the 1970’s, the U.S. workday has lengthened and productivity of workers has skyrocketed. Instead of shorter hours, workers are faced with growing unemployment and part-time work that threatens the fabric of society while 35% of production capacity lies idle. Workers on the job are stressed due to intensification of the labor process. Research by Paul Landsbergis at State University of New York showed that workers in privatized sectors experienced a 45% increase in heart disease, and the health disparity gap is growing between low and high income workers. Several nations have imposed limits on working time in an effort to combat unemployment. This has been done both on a national level, as in France’s 35-hour workweek, and on the company level, as in the agreement between Volkswagen and the German Metalworkers Union to temporarily reduce the workweek to 29 hours to preserve jobs. As of 2004, the OECD reports that US workers average 1777 hours per year, British workers 1652, German workers 1362, and French workers 1346. In January 2009, the California Nurses Association released an econometric study of the US health care industry and the impact of converting to a national single payer healthcare system. “Single Payer/Medicare for All: An Economic Stimulus Plan for the Nation” by the Institute for Health and Socio-Economic Policy analyzed data published by the Center for Medicare and Medicaid Services and the US Department of Health Medical Expenditure Panel Survey using the IMPLAN input-output model that is widely used by government planning bodies. The study showed that a Medicare for All system covering all US residents, as embodied in the Conyers Bill – HR 676, would create 2.6 million permanent new jobs. It would stimulate $317 billion in new business revenue, over $100 billion in wages, and $44 billion in new tax revenues. The net cost of this stimulus to the US government is $63 billion, only 10% of the cost of the Obama administration’s ARRA. Overall, every direct healthcare dollar creates nearly three additional dollars in the U.S. economy. National health insurance as proposed in HR 676 currently enjoys widespread acceptance among the U.S. populace. Enacting this program would deprive the health insurance industry, one of the most consistent profit centers for the financial oligarchy, of $113 billion of capital assets returning a profit margin of 15.6%. This value would be transferred to working families as low cost healthcare, and it would relieve U.S. manufacturers of the competitive cost disadvantage of employer-financed healthcare. Cleveland is breaking new ground with worker owned service industries. The worker owned cooperatives are new innovations in the structure of capital ownership that avoid the historic pitfalls of cooperatives. Each worker owns an equal voting share in the company. These shares can only be sold back to the company. The banks cannot gain control of these cooperatives. The Evergreen Cooperative Laundry and Ohio Cooperative Solar were established in the heart of the mostly African-American community hard hit by long-term unemployment. Local businesses granted loans to the cooperative and local institutions agreed to buy laundry services or solar panel installations from the cooperatives. Unemployed workers were selected, trained, and educated to become worker-owners of the new enterprises. As well as their dividends from operations, the workers are building wealth through their ownership interest in the cooperative. The structure is modeled on the Mondragon Cooperative Corporation in Spain, an innovative form of worker ownership of commodity producing enterprises, born in the Basque region of Spain in a period of economic devastation under the dictator Francisco Franco. From a small cooperative producing paraffin heaters it has grown into the seventh largest enterprise in Spain with 120,000 worker owners. Based on the wealth accumulated from commodity production, the workers were able to fund second level cooperative service enterprises, retail businesses, banks, hospitals, and colleges. The colleges are incubators for high tech innovation in products and the production process. The Employer of Last Resort program in Argentina has been an incubator for worker-owned coops. Workers in the Argentine ELR program are paid for only four hours labor per day. Many began working longer to produce and sell their goods or services cooperatively and start their own enterprises. The battles in the 101st Congress around the economic stimulus, health care reform, expanded rights of workers to organize unions, reform of financial institutions, for a humane immigration policy, and for extension of unemployment benefits all represent the first wave of reform efforts following on the election of President Obama. In 1978 Congress passed the Humphrey-Hawkins Full Employment and Balanced Growth Act establishing a maximum unemployment rate of 4%. This bill was the last gasp of the New Deal generation’s struggle for economic justice. Its passage occurred at the beginning of the neo-liberal campaign to reverse the New Deal policies. Thus, finance capital began the neo-liberal era by shuttering the major steel producing centers in the US. By 1985 the Chicago Save Our Jobs committee and the National Congress of Unemployed Organizations responded to the decimation of the US steel industry by presenting a petition for a jobs bill to Congressman Charles Hayes. Hayes introduced the Income and Jobs Action Act of 1985, which required the President to submit a plan to Congress for federally funded public works jobs. The bill provided for an equivalent income for unemployed workers. Hayes gathered sixty-six cosponsors and proceeded to hold hearings across the country including at the Croatian Club in Aliquippa, PA in April 1986, that was supported by the Beaver County Labor Council and the Beaver County Fight Back Coalition. Most current proposals for a new industrial policy seem to overlook the reality that unemployment and crisis are a means of expanding economic control and increasing profits by finance capital. They don’t address the conflicting class interests of our society or come to grips with the question of how these eminently logical programs will come to be implemented without a political realignment. A movement for full employment is a key element to developing a mass base for a political realignment in Congress. New legislation is needed modeled on the Income and Jobs Action Act of 1985 that makes government the employer of last resort. This new bill should be expanded or packaged with legislation to include a shorter workday, support for manufacturing jobs, preference to worker-owned enterprises, national health insurance, and fair trade, funded by a tax on financial transactions. A key political goal of the movement for full employment is the removal of the ‘tax cut’ and ‘deficit fetish’ Republicans and Blue Dog Democrats from Congress. These politicians oppose jobs legislation and aid to the jobless. 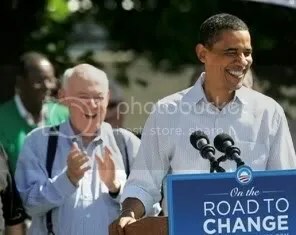 Their objectives are to slash social security and Medicare benefits and raise taxes. This goal requires new thinking about the two-party system that still traps many in the progressive majority. Progressive Democrats and progressive independent candidates need the financial and shoe-leather support of the trade unions and the jobs movement to break the grip of the neo-liberal majority in the House and Senate. In July 2009, the Bureau of Labor Statistics (BLS) reported that the youth unemployment rate in the United States was 18.5%, which is the highest ever rate on record. The youth unemployment rate includes people aged 16-24, and was first tracked in 1948. The number of young people employed in the month of July 2009 was just 51.4%, the lowest July rate on record. July is traditionally the peak month for youth employment, due to the fact that many youths are off from school and looking to earn money. Since the current recession began in December 2007, some 1.3 million young workers have left the workforce, while the participation rate of workers ages 55 and older increased, according to a new report by the Economic Policy Institute (EPI). This means many older workers are not retiring or are re-entering the labor force because they have suffered a sharp decline in retirement security, say authors Kathryn Edwards and Heidi Shierholz. At the same time, workers ages 16 to 24—who face an unemployment rate of 18.9 percent, compared with 6.8 percent for workers ages 55 and older—are having a hard time finding jobs. Many who do find work end up in low-paying jobs with few or no benefits. A militant movement for full employment must be based on the young generation, which has the most at stake in finding a job and building for a future. The AFL-CIO has recognized the need to organize young workers and is holding an AFL-CIO Youth Summit in Washington, DC in June 2010. The Young Worker Summit advertises the opportunity for young workers to socialize, share ideas, learn from experts, and network with the progressive movement. The key to building this effort into a long term success is engaging local labor councils in building youth activity within the unions and relating to the vast army of young unemployed. Social support networks of young unemployed like the 405 Clubs can become venues for engaging the unemployed around the policy and political issues of unemployment in addition to their self-help and networking functions. So once again, what is a young unemployed guy to do? Being that most my ideas involve comical and at times illegal means of generating revenue I thought I’d just leave it up to your opinions. Maybe someone out there has a good idea for me to bring in some cash? Let me know your ideas and if there’s a chance I’ll live through it I’ll give it a go! The jobs “public option” or employer of last resort is an important program that assures young workers that a job is waiting to give them the opportunity to learn the skills needed to advance to private employment. A 2007 UNICEF study shows that the United States has the highest child poverty rate among industrialized nations. A report issued by the Organization for Economic Co-operation and Development (OECD) in 2008 revealed the United States has the third worst level of income inequality and poverty among the group’s 30 member states, ranking above Mexico and Turkey. Millions of new workers face economic instability, lower wages, joblessness, home foreclosures, unaffordable healthcare, and hunger. A broad social movement must respond with the demand for full employment and economic democracy as the centerpiece of a progressive agenda that can united the progressive majority to defeat neo-liberalism and challenge the dominance of finance capital. Full Employment The US government must guarantee the human right to a job as the employer of last resort. Legislation for full employment must be at the top of the progressive agenda. A new bill that funds a full employment program and reduces working hours should be introduced in the 112th Congress. The labor movement can build a strong allied social movement by organizing the unemployed, especially young workers, to fight for full employment legislation. Industrial Policy Rebuilding a substantial manufacturing sector must replace currency manipulation and debt as a basis for consumption. A successful industrial policy must include reduction of carbon fuel consumption and conversion of military to civilian production. The neo-liberal regime of “free trade” must be replaced with a “fair trade” policy that protects the jobs of US workers with equitable trade rules. Fair trade supports environmentally sustainable global growth and respects the human rights of all workers. Socialize Finance Every nation must gain sovereignty over finance capital, the source of speculation, economic chaos, political reaction, inequality, and international tension. The financial transaction tax can be a first step in reducing their power and transferring wealth to the people by funding a full employment program. Public investment should target worker-owned enterprises. Federal policy should support state-owned banks. The vast socially produced wealth controlled by a handful of unscrupulous banks must become the social property of the people. The accumulated wealth of society must be invested to benefit society with full employment as a primary goal. Peace and Prosperity The never-ending war begun in the 1950’s has always been a war against democracy that represses the aspirations of American workers. The austerity imposed by our war economy is a major roadblock to social progress and full employment. Peaceful relations with other nations are essential to national and global prosperity. Slashing military spending and ending the policy of force abroad is the keystone to a full employment economy. Randy and everyone else who contributed, this is a very good, comprehensive document. Many of its goals are certainly things that we need to see happening, if we’re to become a more humane, more productive, healthier society. But for any of it to happen, we have to reach many more people with our arguments. We especially need to reach the many working people, active as well as retired, who have gravitated toward the Tea Party and similar rightwing movements. This is far easier said than done. There is an almost unbridgeable gulf between us and many of them, because we look at the world and its issues so differently. I know whereof I speak, because I am exposed to the arguments of these working people on a daily basis. They carry a certain image of me and those like me around in their heads and spend their energy and time attacking that straw horse. It is very difficult to get a word in edgewise without raising the temperature in the room to an unacceptable level. That’s because, or I think it’s because, their cherished notions seem to them to be under attack, and they listen to rightwing talk show hosts all day. Somehow we have to bridge the aforementioned gulf, but it is not at all easy. We have to stop begging government for handouts and make-work job creation. The unions had it right in the 1930s when they sponsored legislation to cut the work week from 40 to 32 hours. Today, with the improvement in technology and productivity, we can go much further to abolish unemployment forever. New Deal jobs programs like the WPA were designed to reject labor’s alternative, and we need to get back to it.